We love the Make-A-Wish® foundation, so when Subway and Social Moms invited us to be part of the “You Share. We Share.” program, we were thrilled to take one day to talk about this great organization and how you can help it, and other local charities in your neck of the woods. From now through August 31st, SUBWAY® Restaurants are partnering with local charities to give back to their communities. When you eat at SUBWAY® Restaurants on the weekends this summer, a percentage of sales up to $100,000 will go to your local charity. In Los Angeles, that charity is the Make-A-Wish® Foundation. Learn more about the program here. While Chris, 18 years old, spent time in the hospital, he had the time to explore and refine his song-writing talents with the help of a music therapist. All the while writing lyrics and putting down tracks on his iPad, he was inspired by his musical idol – Ne-Yo. 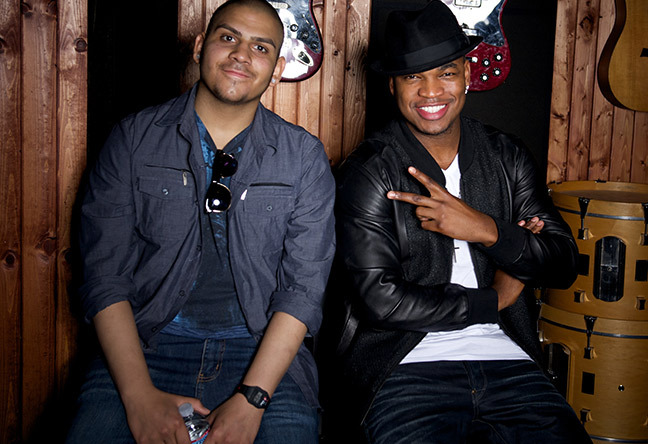 Chris’ wish to meet Ne-Yo resulted in a two-hour musical jam session in Burbank….listening both to Chris’ tracks and several un-released Ne-Yo songs. 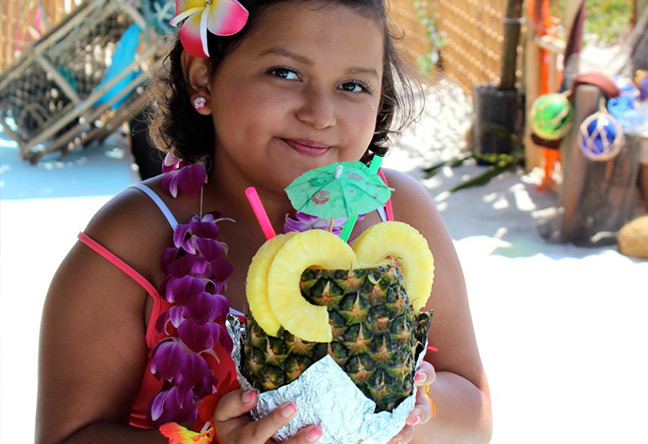 Jasmine’s (10 years old) love of dolphins, the ocean and Hawaiian culture intersected when she made her wish to have a luau birthday bash. She had her own private cabana at the annual Alfred’s Beach House Tiki Festival complete with everything from hula dancing and ukulele playing to face painting and tropical ice cream eating. At 16, Samantha from Pomona had a liver transplant. 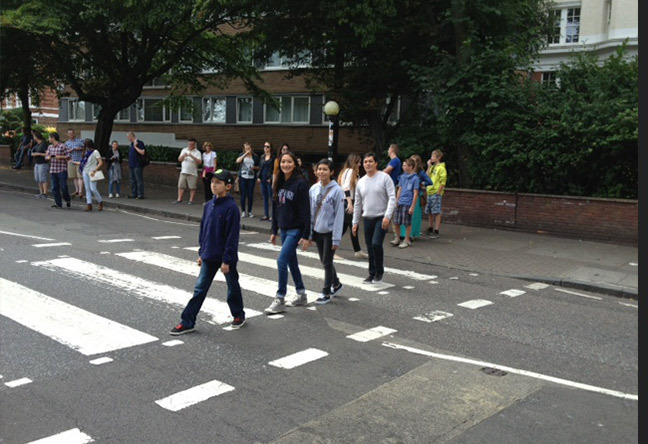 One year later, her wish to go to Liverpool to have a “Beatles Experience” came true when she boarded a plane for a once-in-a-lifetime experience. It took her a year of healing for her doctors to approve her international Make-A-Wish® travel and stamp her passport. 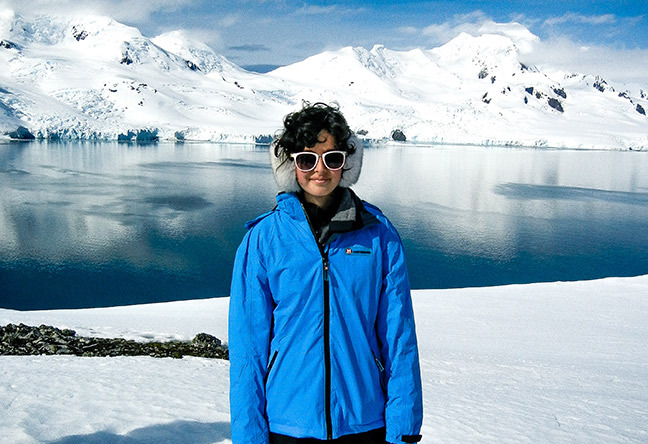 Alexandra, 15, wished to go to Antarctica during her battle with lymphoma. She wrote a beautiful essay about the experience that you can read here. – Make-A-Wish grants a wish, on average, every 38 minutes and, on average, a child is referred for a wish every 28 minutes. – Make-A-Wish has more than 25,000 active volunteers in the United States. – Nearly 70 percent of wish experiences involve travel. – As of March 2010, the average cost of a wish was $7,025. – Make-A-Wish granted nearly 14,000 wishes in 2011 alone. – Ninety-nine percent of parents reported that the wish experience gave their children increased feelings of happiness and 96 percent said that the wish experience strengthened their families. – A combined 89 percent of doctors, nurses and health professionals surveyed say they believe a wish experience can influence wish kids’ physical health. – Ninety-five percent of community volunteers reported an increased sense of compassion and 84 percent felt an increased faith in humanity. I am so moved by these kids’ resilience and the power these wishes have. So I implore all of our Angeleno readers to go eat a delicious sandwich at a locally owned and operated SUBWAY® Restaurants franchise (find your store here) this summer in support of this organization. Follow the Make-A-Wish Foundation of Greater Los Angeles. That’s so amazing! I didn’t know Subway did that. I know where I’m eating dinner tonight. The make-a-wish foundation is so amazing! I’ll be looking up what charity my local Subway is sponsoring. The Make-A-Wish Foundation is so awesome! The things they are able to do for sick kids and their families are so inspiring. Making Wishes happen every 38 min?!? SO awesome! I’m going to stop packing my lunch and eat at Subway instead. I can’t feel guilty about eating out when it’s going to such a great cause. Make A Wish has always had a place in my heart. This post remind me to do something about it. Thanks! Make A Wish is so special! I will support Subway in their efforts too! Make A Wish does amazing work! I see a Subway stop in our future. Thanks for the reminder to support Make A Wish! Such a wonderful organization, touching so many lives. The kids and I just went to Subway this weekend on our drive home! It’s one of the only places that we can all eat something we like. Happy to see that Subway is helping out Make A Wish. A friend of mine has worked for many years with Make A Wish in the Bay Area making dreams come true for kids. It’s my ultimate dream job! It’s really such an amazing organization. Great to see this initiative with Subway. Subway is a monthly lunch destination for my son’s special needs classroom. They love it, so I do too. And who doesn’t love the Make A Wish Foundation?? They do such incredible work. always liked Subway, now i love it.